Nadja’s life was perfectly planned: marry Luca, learn his trade, have their children. But the night of their betrothal celebration, her plans go up in smoke. Now on the run, she’ll have to leave behind the only life she’s ever known. And to stay alive, she’ll have to become something that defies everything she’s been taught to believe. But Nadja isn’t the only one changing. 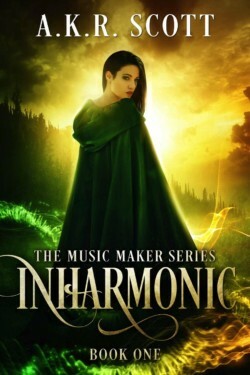 In Amrantir, where music is magic, nature bends to the will of the Musicians. But an echo from the past threatens the balance between Man and nature. With her newfound security in jeopardy, can Nadja evade capture and certain death? Can she unravel the mysterious circumstances linking her to Amrantir’s checkered past? And can she fend off the advances of the handsome woodsman determined to help her?